This Philips Sonicare HX6311/07 Rechargeable Electric Toothbrush for Kids is just $29.95 v $49.99. Make sure that you are logged into your Amazon account to get the $10 extra discount coupon! Amazon.com Price: $79.98 (as of 2019-04-24 18:06:49 GMT) Product prices and availability are accurate as of the date/time indicated and are subject to change. Any price and availability information displayed on Amazon.com at the time of purchase will apply to the purchase of this product. 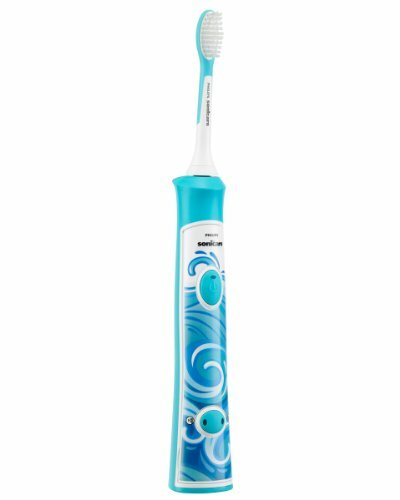 Philips Sonicare for Kids Rechargeable Electric Toothbrush – HX6311/07 Sonicare For Kids has been engineered to be kid-friendly at each brushing phase. Power levels, brush heads, and bristles are specially designed for small, sensitive mouths. Complete with ergonomic handles, Sonicare For Kids makes brushing comfortable and easy. It even features the KidTimer and KidPacer help kids learn to brush for a full two minutes. Sonicare For Kids is safe and gentle on teeth and gingival tissue, while reaching more plaque in hard-to-brush areas than a children’s manual toothbrush.